Let me introduce myself. 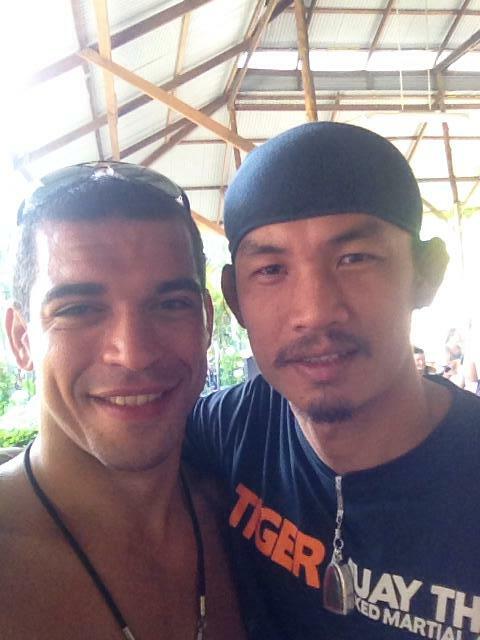 I’m Stephane from France, and it was my first time in the Kingdom of Thailand and also at Tiger Muay Thai & MMA Training Camp and guess what? It was so worth it coming all the way here to train. In all honesty, it was the greatest choice in my life, to take that step and go to Tiger Muay Thai. I met so many nice people who are warm. charming and just laid-back. I felt like having left old life and being here was just a breath of fresh air. I truly believe that the level of training here ris one of the best in Asia and also in the world. I’m not exaggerating in saying that as the trainers here are famous for their career in MMA and especially at the UFC. They are patient,, kind and professional. They don’t exclude beginners. They treat all students equally . Aside from being trainers, they are friends that are funny and welcoming. The staff at Tiger Muay Thai are professional. They are focus on their job, and treat you like family. It is good to have that especially when you just moved out of your comfort zone and in a different country. They are willing to help you out when needed. Thai trainers are very good too. as a lot of them are Champions in Bangkok like Rajadamnern Champions with more than a hundred fights. TMT is a Champion School and a place for all levels and it is located in Paradise!